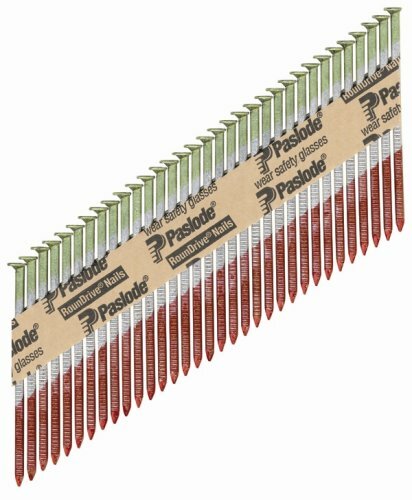 PASLODE paper tape collated framing nail is specially designed with nail strips that will not Deteriorate in wet weather or break when dropped and contains a Galva guard premium Streak protection for optimal durability and long lasting use. Features, Roundrive and full head construction. Ideal for use with PASLODE F350S, cordless framers and also fits 30 degree Hitachi, Porter cable, Senco and bostitch framers. Product measures 3-D/4\" x .131 and is available in a 2000 count.